Here you might download the slides of my video, explaning the analytical network process ANP. The analytic hierarchy (AHP) and analytic network process (ANP) are two multi-criteria decision methods (MCDM), originally developed by Prof. Thomas L. Saaty. 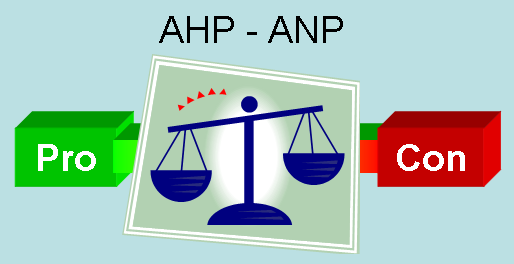 ANP is a more general approach, based on the description of the problem by means of a network instead of a hierarchy as in AHP. On the other hand, ANP is also more complex in its application. In my latest video presentation, pros and cons for both methods are shown, and a few tips for the practical application of AHP, and setting up a network for ANP are listed. Feel free to comment and feedback here!